Google’s Accelerated Mobile Pages initiative has created a history in the digital marketing sector. Through this newly developed project, Google aims at improving the loading time of website pages in mobile and hand-held devices. It also emphasizes on enhancing the site usage, user-friendliness, and experience of consumers, from their personal devices. 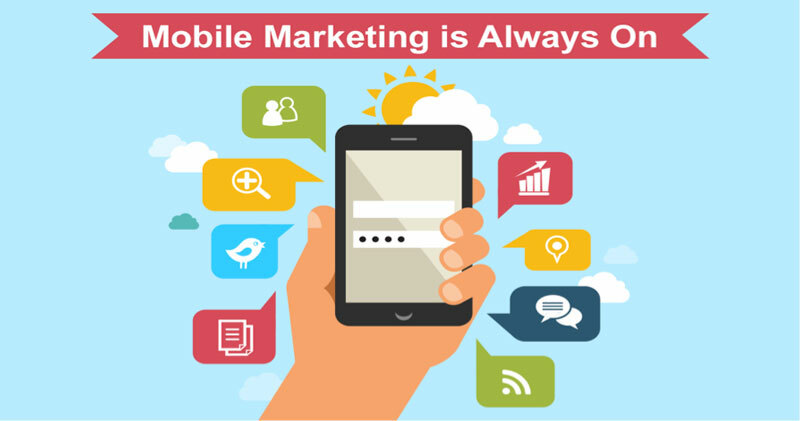 With the AMP program, online marketers especially the SEO professionals are putting more effort in boosting SEO campaigns for mobile sites. They are gradually emphasizing on higher ranking in the mobile search engines. At the same time, web developers are giving more time in making a website responsive, so that it easily fits all screen size. It can be said that the AMP initiative has forced the digital marketers to re-invent their SEO techniques and online marketing. And to bring changes in traditional ways of SEO, marketers are now embracing LSI (Latent Semantic Indexing) keywords. Such keywords are not directly connected to a particular product/service, rather, are semantically linked to the searches. For example, if a coffee brand is implementing SEO, the probable LSI keywords are “benefits of drinking coffee”, “coffee maker” etc. Thus, instead of using the brand name and its USPs directly for SEO, professionals are making more use of the generic product, in this case, coffee. In this way, they can also get diverse traffic from various sources. Gone are the days when brands tapped their audience only through their website’s query form and contact us pages. Today is the age of CRM-based applications and integrated modules. With more software development and equal progress in digital media technologies, businesses are now taking help of new-age CRM applications. With such technologies, they can track their visitors at real-time and boost conversations by syncing their chat box with individual social media account. As a result, they can follow their targets all the time and optimize brand promotion in the online sphere. Content is King. And, modern digital marketers are stressing on high-quality and interactive content that will not only attract audience but also engage them for a longer time span and sustain their presence, across the online platform. To achieve this, they are going beyond texts and creating visually rich and appealing content that will hit the minds and rouse interest of online visitors. 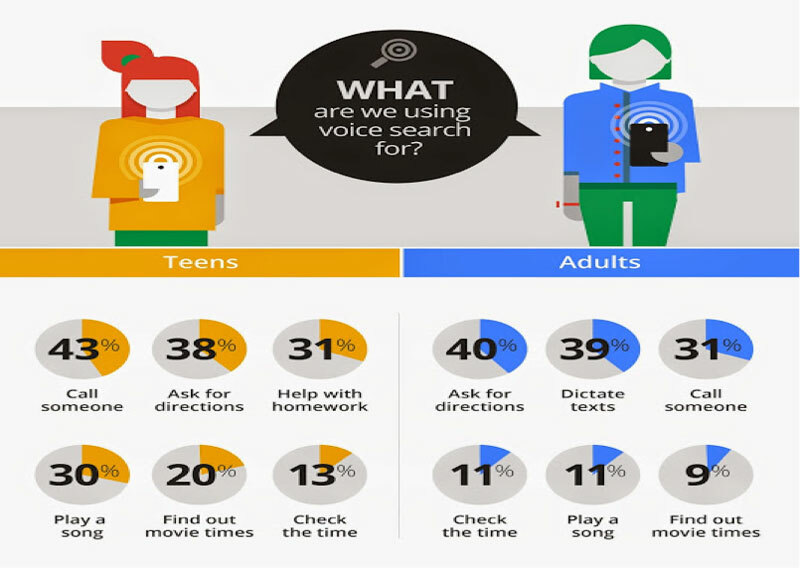 Of late, Voice Search has become a search engine and both the consumers and the digital marketing professionals are in love with it. Indeed, it’s a new way to search as well as promote brands. Also, it brings more traffic since people tend to find their desired product, at-one-go. Naturally, where more than 70% of browsing happens from personal phones; digital professionals are now strategizing ways to promote brands through mobile. From SEO efforts to PPC campaigns services , everything is now being concentrated for the hand-held platforms. Digital ads are also optimized for the mobile medium. Nowadays, video ads are also targeted at the right audience, through their personal device. Schema helps search engines to understand the relevancy of website and display it only in front of the most suitable target group. It also allows online marketers and brand managers to ensure that the site name appears correctly in the search engines. With this, they can prepare their site for a better rank in the search engines and witness effective SEO results. 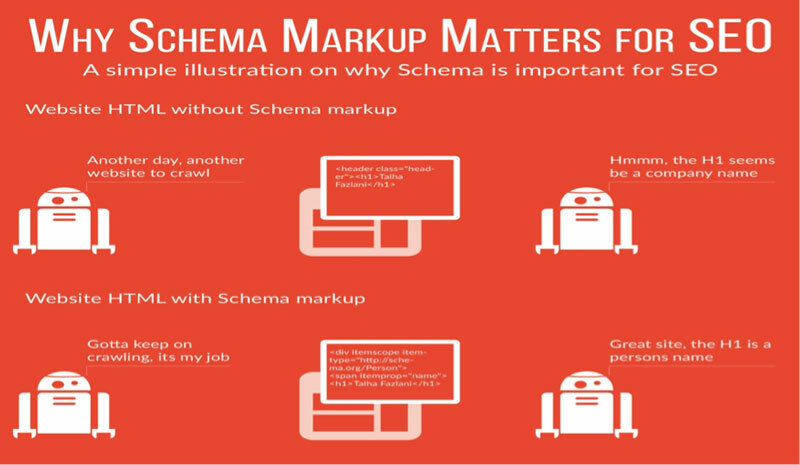 Schema Markup along with artificial intelligence is another new trend that will dominate this year and change the ways of conventional SEO procedures. Presently, digital marketers are considering ways to tap audience from their most-visited sites. And to do so, they are promoting the brands in other websites, known as affiliate sites. And for every lead coming to the website from the affiliates; they end up paying a commission to the affiliate site owner. Such a form of marketing is termed as influencer marketing or affiliate marketing whereby one website recommends the products and/or services of other websites. In this way, marketers gain more reach and follow their audience in most of their frequently visited sites. I am a digital marketing head at Dial4trade.com , I am Google Ad words certified and a regular contributor to top Digital Marketing and SEO blogs. I am also working as freelancer Webprofits.in. I’m already learning more about Google’s AMP because I definitely agree with this article predictions for digital marketing future. Working on new SEO techniques and online marketing at the moment.